We know bran is full of fiber and blueberries are brain food, but did you know chocolate has health benefits too! You may be cutting out yummy foods previously deemed bad for you and missing out on their surprising health benefits. Sound too good to be true? Not this time. You do not have to deprive yourself to enjoy a healthy nutrient-rich diet. Salsas - If chips and dip are your weakness you may be delighted to know that a 1/2 cup of salsa equals 1 vegetable serving and is rich in immune boosting vitamin C and lycopene – an important antioxidant which helps protect against cancer. Just be aware that most salsas have a lot of sodium. One teaspoon of salt or 2,400 mg of sodium is the recommended daily allowance for people with normal blood pressure. Tortilla Chips - Take it one step further and make your own high-fiber tortilla chips using whole-wheat pitas, lightly coated with olive oil and seasoning prior to baking them. So dig in and learn which of your favorite foods are actually good for you! Eggs - Although eggs have previously been labeled as artery-clogging, they are now a highly recommended protein-rich food full of vitamins and minerals such as choline and lutein – vital for brain function, eye health, pregnancy and fetal development. At only 70 calories per egg, each provides 13 essential nutrients, vitamins and high-quality protein. Eggs do contain cholesterol, recent studies have shown that they actually contain 14% less than previously thought, at 185 mg cholesterol per egg. The American Heart Association recommends eating 300 mg or less of cholesterol per day, so you may easily enjoy a whole egg several times per week for its nutritional benefits, or whip up a few egg whites to still get that great source of protein. Coffee - We all know that too much caffeine can leave you with the jitters and even interrupt your sleep, however; did you know that new research believes that coffee consumed in moderation can actually provide health benefits? Caffeinated or decaf, drinking coffee regularly may reduce your risk of Parkinson's disease, colon cancer, diabetes, and even headaches. Try to avoid drinking more than 1-2 cups (300 mg of caffeine) daily as caffeine is hard on your bones! Nuts - Nuts are often thought of as high in fat and calories, but incorporating nuts into a well-balanced diet can actually be good for your heart. Nuts, which contain heart-healthy unsaturated fatty acids and other nutrients, also serve as a great snack. They're inexpensive, easy to store and easy to take with you to work or school. While most nut varieties contain healthy substances, walnuts and almonds are especially rich in antioxidants. Chocolate - A popular choice for abstinence with dieters, chocolate was once thought of as nutritionally lacking, when actually small portions of dark chocolate can help reduce high blood pressure. It can also help reduce LDL (“the bad cholesterol") and may reduce the risk of diabetes by increasing insulin sensitivity. Consume dark chocolate for a concentrated punch of healthy antioxidants. The most important thing to consider when indulging these foods is portion control. With over 1 million cookbooks sold, Holly Clegg, cookbook author and spokesperson, has helped today's busy person cook everyday meals that are fast and fit into an overall healthier lifestyle through her best-selling trim&TERRIFIC® cookbook series, including the specialized books, trim&TERRIFIC® Diabetic Cooking with the ADA and Eating Well Through Cancer. Holly has appeared on Fox & Friends, NBC Weekend Today, QVC, USA Today and The Huffington Post. She has partnered with Wal-Mart, and she's the national spokesperson for AmMed Direct Mail Order Supplies. 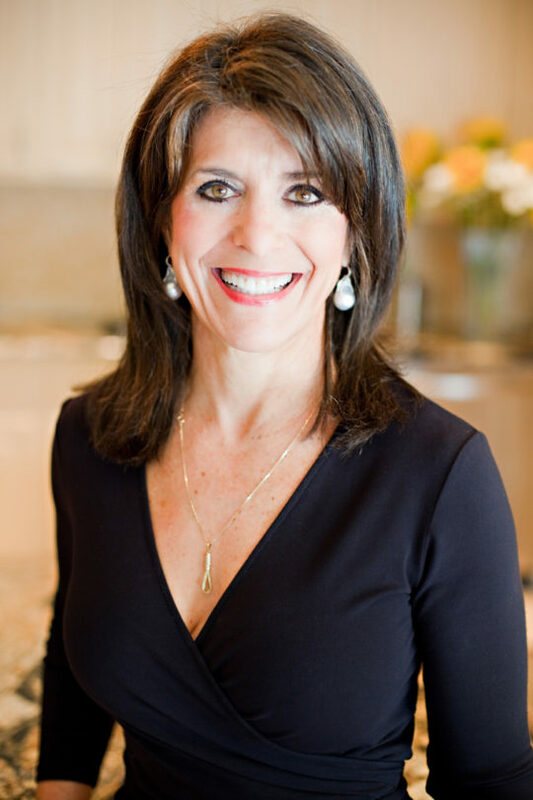 She offers an iPhone, Blackberry and any smart phone application, Mobile Rush-Hour Recipes, bringing her signature trim&TERRIFIC® recipes to user's finger tips to help solve the dinner dilemma. For more information, visit Holly's website or blog.